Mardi Gras is the last big party of winter. It is the last day of Carnival, a word derived from "Carnevale," which means "goodbye meat." On Mardi Gras, revelers indulge in food, drink, and more in anticipation of Lent, the 46 days and nights of austerity that precede Easter. The day after Mardi Gras (Fat Tuesday) is Ash Wednesday. The most famous place to celebrate Mardi Gras in the United States is in the city of New Orleans. But it is not the only place to go for a carnival atmosphere. 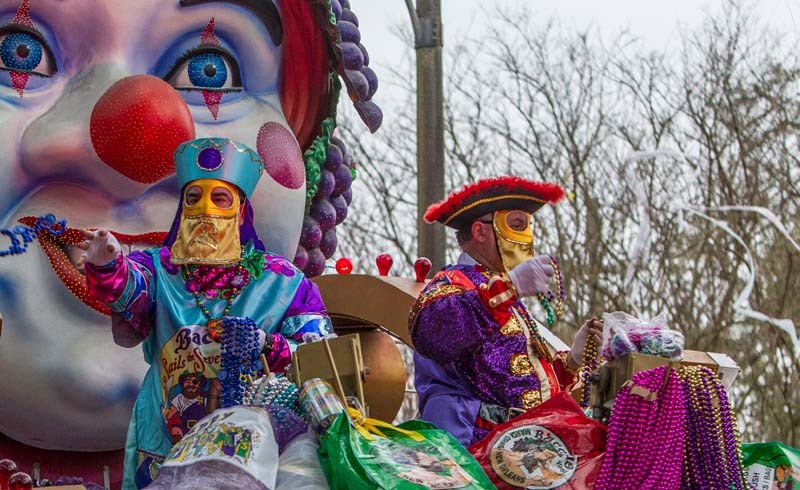 Mardi Gras tradition is strongest in America where French and/or Catholic communities settled. 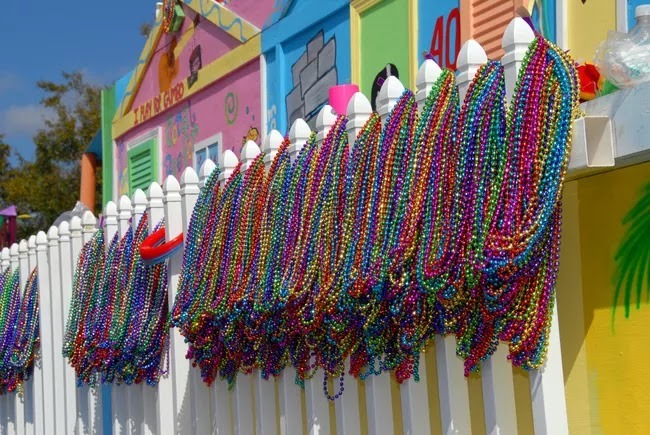 The popularity of the New Orleans' Mardi Gras party atmosphere has also meant that many big cities and communities throughout the U.S. now celebrate Mardi Gras as a way of getting through the last cold days of winter and looking forward to spring. 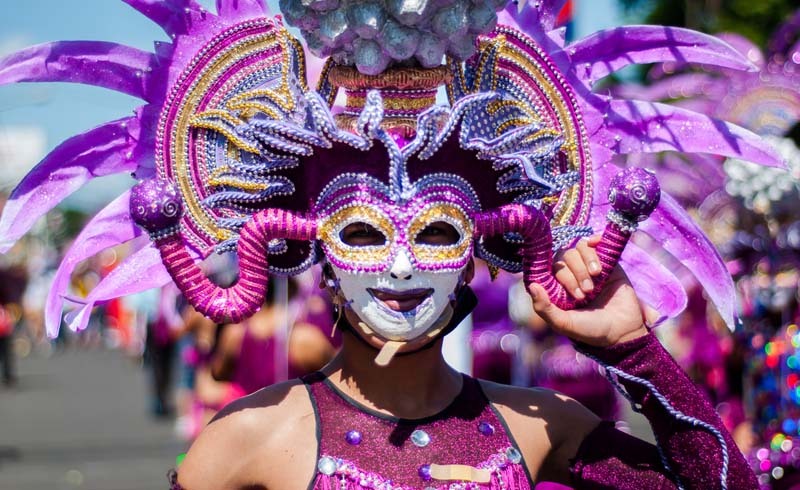 No matter where you choose to spend Mardi Gras, you'll be able to eat unique Cajun cuisine, experience extravagant parades, see beautiful costumes, and listen to upbeat music to celebrate the end of winter. New Orleans is synonymous with Mardi Gras. Every year, hundreds of thousands of visitors go to New Orleans to watch Mardi Gras parades, over-indulge in Cajun cuisine, listen to music, and soak in the Crescent City's particular brand of lively hospitality. Major Mardi Gras parades start about two weeks before Mardi Gras and the parties continue throughout those two weeks. If you're planning a trip to New Orleans, plan your last day or second to last day to be on Mardi Gras so you can enjoy the festivities beforehand. There are parades and parties for all types of visitors, so take a look at these guides and plan your trip accordingly. There are several other cities in Louisiana that make Mardi Gras their own. Two of the biggest are Lafayette and Lake Charles. In Lafayette, events begin two weeks before Mardi Gras. The day of Mardi Gras is packed with 12 parades throughout the city at various times. Lafayette is one of Louisiana's best small towns and their Mardi Gras celebrations are worth the trip. In Lake Charles, events kick off in January with the Twelfth Night Celebration, an event that features extraordinary costumes. The parties and parades continue until Fat Tuesday. One featured event is the World Famous Cajun Extravaganza and Gumbo Cook Off, which you can attend to experience the delicious tastes of Mardi Gras. Children's Day is a Lake Charles's event where children can do arts and crafts and learn about the history of Mardi Gras. Mardi Gras in Mobile, Alabama is the oldest carnival celebration—even older than that of New Orleans. The first known Mardi Gras celebration in the United States took place in the coastal Alabama town in 1703. There are several parades and events in Mobile leading up to Mardi Gras. They begin celebrating two weeks before the Mardi Gras date and the streets are always full of marching bands, dancers, and performers of all kinds. Mobile also has a Carnival Museum dedicated to their history. Texas is another festive place to celebrate Fat Tuesday. Galveston, Texas has one of the most famous events in the country, complete with floats, food, and music. 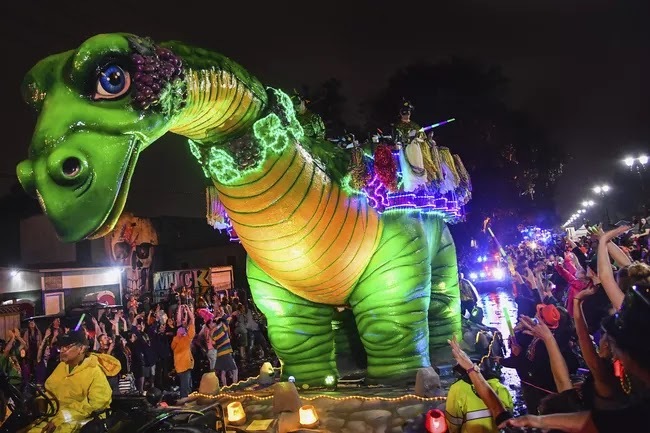 While Galveston is the most popular Mardi Gras celebration in Texas, there are also parades and parties in Dallas and other major cities across the state. 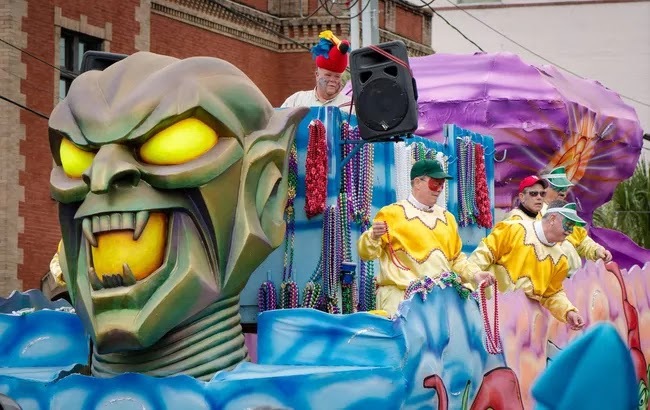 Another Texas destination to check out is Port Arthur, which has been providing family-friendly Mardi Gras in since the 1990s. St. Louis claims to have the biggest Mardi Gras event outside of New Orleans. 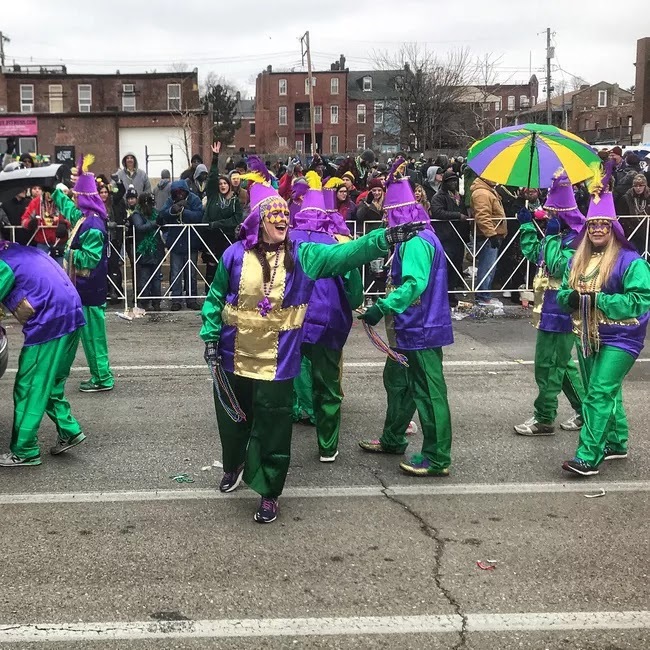 Soulard is St. Louis' best-known Mardi Gras party, but there are a number of other balls and parades that take place all over St. Louis when it's Mardi Gras time. St. Louis prides itself on the New Orleans style cuisine it offers during Mardi Gras. There are plenty of highly recommended restaurants where you can enjoy this special cuisine. If you'll be traveling with kids, look into celebrating at the St. Louis Zoo. Admission is free and kids can make masks, listen to music, and join in a special parade. 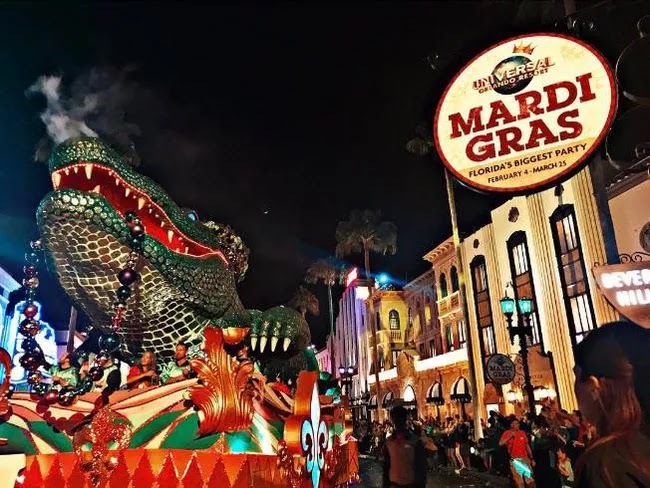 One option for where to celebrate Mardi Gras in Florida is Orlando. One of the most popular Mardi Gras parties in the country is hosted by Universal Studios. Universal's Mardi Gras lasts for 50 nights, and there is a parade with fantastic performers every night. On special nights, Universal hosts headliners for massive Mardi Gras concerts. Another option for a celebration in Florida takes place in Pensacola. Pensacola hosts two spectacular parades for Mardi Gras, one at night with floats that light up and one during the day that features unique and extravagant costumes. Another popular Mardi Gras destination is San Diego, California. San Diego hosts the biggest Mardi Gras celebration on the West Coast. San Diego is a great option if you're on the West Coast and not looking to go too far away for Mardi Gras. San Diego's Gaslamp Quarter is home to a massive masquerade parade and celebration. This parade brings over-the-top floats, music, and tons of energy.